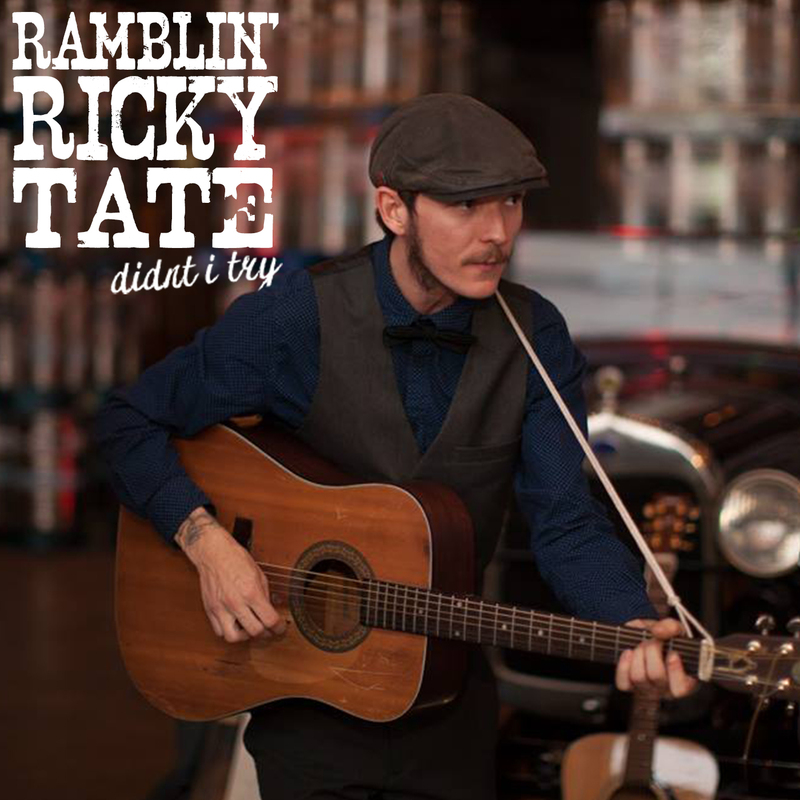 Ramblin’ Ricky Tate is the singer and songwriter behind the old-timey ensemble Steel City Jug Slammers. Since 2012, he’s written a catalogue of folksy tunes that could blend seamlessly with songs recorded generations ago. From instrumental resourcefulness to relatable sentiment, his writing style is incredibly faithful to the period works that inspire it. While the Jug Slammers suit up to hit the road this spring, Tate has released seven new tracks in a solo effort, Didn’t I Try. The EP opens with “Tavern,” an establishing shot of a rowdy but light-hearted bar scene. The hoops, hollers, and glass clinks should paint a clear picture of the time and place the record evokes. You can easily imagine a dim-lit tavern filled with bootleggers, carousers, and other upstanding citizens. The mood takes only a brief turn toward forlorn with “Birmingham Jail,” but never becomes so maudlin as to lose momentum. The spirits rise again for the upbeat “Alabama Bound” and “Keep A Knockin.” Guitar work, progressions, and cheerful repetition recall inspirations like Bo Carter, Sam Chatmon, and Mississippi John Hurt. The title track “Didn’t I Try” closes the record with a blues lament. Again, Tate can express sorrow and regret without taking the energy out of the music. You’ll still find your toe tapping even as he sings his parting words. There are spaces where one could imagine mandolin or banjo stepping in, and Tate’s rhythm seems to accommodate a phantom jug beat. 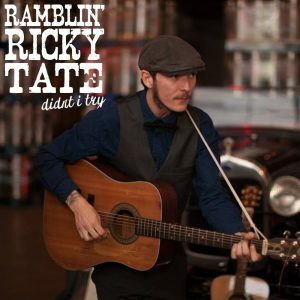 While the songs hold up very well in this singer/songwriter format, it’s easy to see that they originated from a jug band frontman’s imagination. Didn’t I Try was released just as the Steel City Jug Slammers announced a very busy schedule for 2017. Their spring tour wouldn’t leave the band much time to record, but that hasn’t stopped Tate from penning new songs. The EP is the work of a songwriter who doesn’t let his far-side ideas, ancillaries, and experiments gather dust. If you like the Jug Slammers, you’ll like Didn’t I Try. 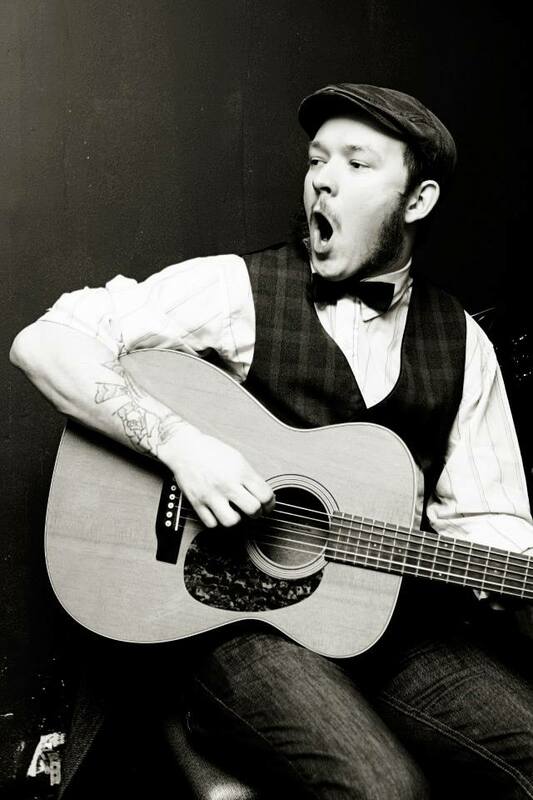 It’s just for you if love the blues or undiluted acoustic Americana sans bells and whistles. It’s clever, charming, and it may get a laugh or two out of your or even your grandpa. Listen to Didn’t I Try right here.